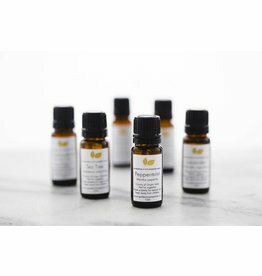 Hand crafted ceramic diffuser inspired by intentional living and a love of creative spaces. 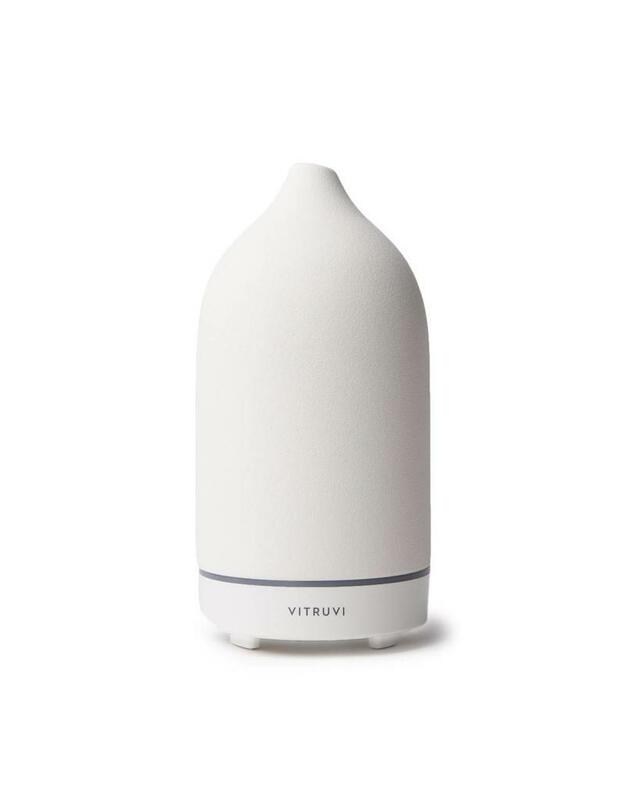 Designed out of the highest quality porcelain, Vitruvi diffusers are available in both black and white, these quality pieces are created to help diffuse essential oils into any environment. 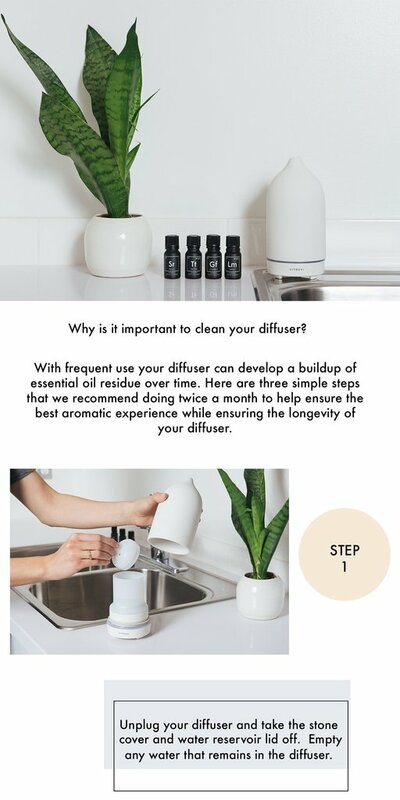 With longevity and safety off switches these diffusers run for hours while looking like a beautiful object that will seamlessly fit into any home. 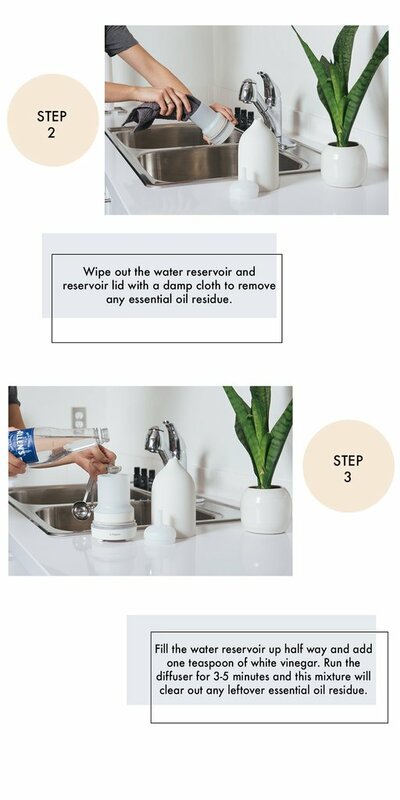 Add water with custom measuring container (included) to the fill to line. ps...The more drops you add, the stronger the aroma will be.